In my years of teaching elementary school, I don’t know who was more nervous on the first day of school: the students, the parents, or the teachers! I do know that what was an exciting day for many kids as they reunited with friends and looked forward to school activities could also be a day full of anxiety and stress for children who had found comfort and routine in being at home for the summer. Whether your kids are excited or nervous about heading back to school, your prayers for their first day (and the days that follow) will set them up to receive the blessings God has for them in this school year. And let’s be honest: your prayers for your child may be as much for you as it is for them. Often God works in us as we pray for others and I can see Him teaching us as parents to trust Him and rest in Him as we pray for our child’s school experience. What should you pray for your child on that first day of school? I’ve picked out some of my favorite verses to pray over my children. The Word of God is full of ready-made prayers to bless your children! Pray for discernment and wise choices. Pray for opportunities to love others. These verses and prayers are just the tip of the iceberg as far as covering your children as they go off to school. You can pray these prayers all year long! Ask God to show you more specific ways to pray for your children – He knows them best and wants to answer your prayers for help in raising children who love Him. And don’t forget a few prayers for yourself! There are so many mixed emotions with the beginning of the school year. Pray for peace and discernment so that you can support your child in their education journey with the Lord’s guidance! 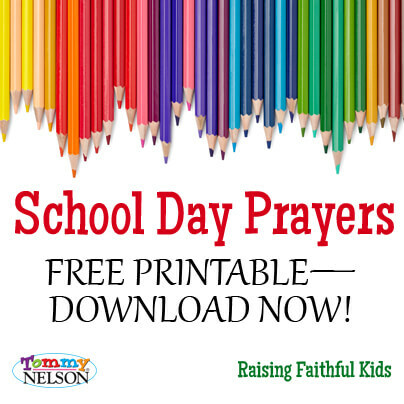 Download the School Day Prayers printable below and keep it where your family can see it each morning! What feelings does back-to-school time bring to you? What prayers do you pray over your children in regards to school? 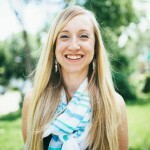 Erin Mohring: Lover of Jesus, family, home. Wife, mommy, writer, runner. Erin finds joy in her life as a Jesus-follower, doctor’s wife, mama to three handsome guys, writer at Home with the Boys, and co-founder of Raising Boys Media. This entry was posted in Blog and tagged Family, Kids, Parenting, Prayer, School by Erin Mohring. Bookmark the permalink.